Here's Alex with the canine kids! :) Yesterday was such a nice, mild and sunny day. 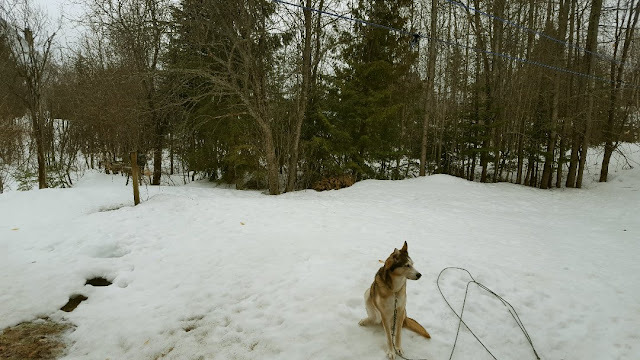 We had plans to go to that craftsman's workshop to buy some new breadboards this week, and since there is snow and rain in the forecast until Sunday now, we decided to go yesterday. 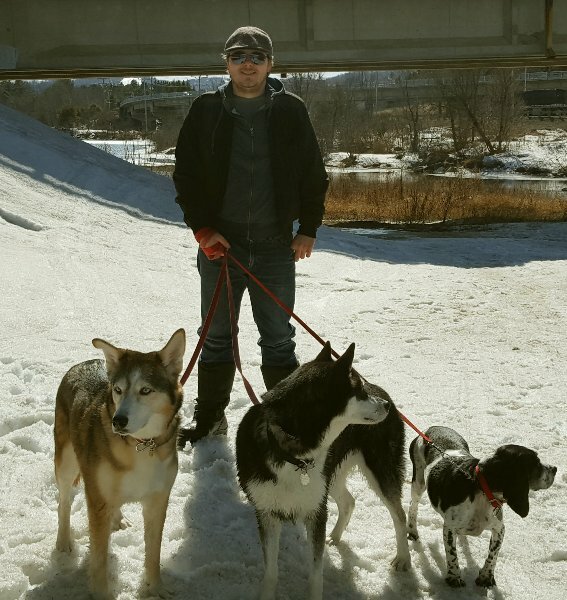 He lives in a nearby town so we decided to bring the dogs with us so they could have a little walk by the river. I wasn't surprised that Charlie jumped into that cold river...she LOVES the water...the shore was filled with burr bushes and we had to pick them off Charlie when she came back to the shore. This town is only about 30 kilometers south of us, but the snow is nearly all gone there. Our snow is still hanging on. I took this photo this morning, the weather keeps jumping from rain to snow to freezing rain. It's supposed to be like this all week. Whenever we go out, we try to hit the local thrift stores and flea markets. What a find yesterday! 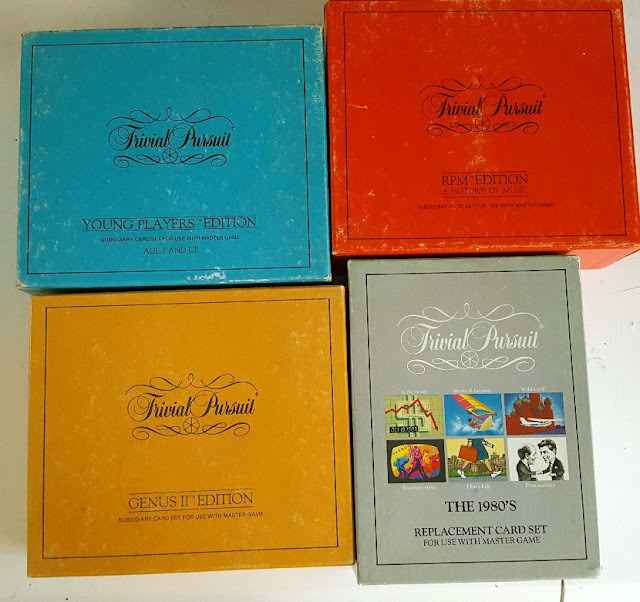 We are big fans of Trivial Pursuit and we found these four at a church bazaar. 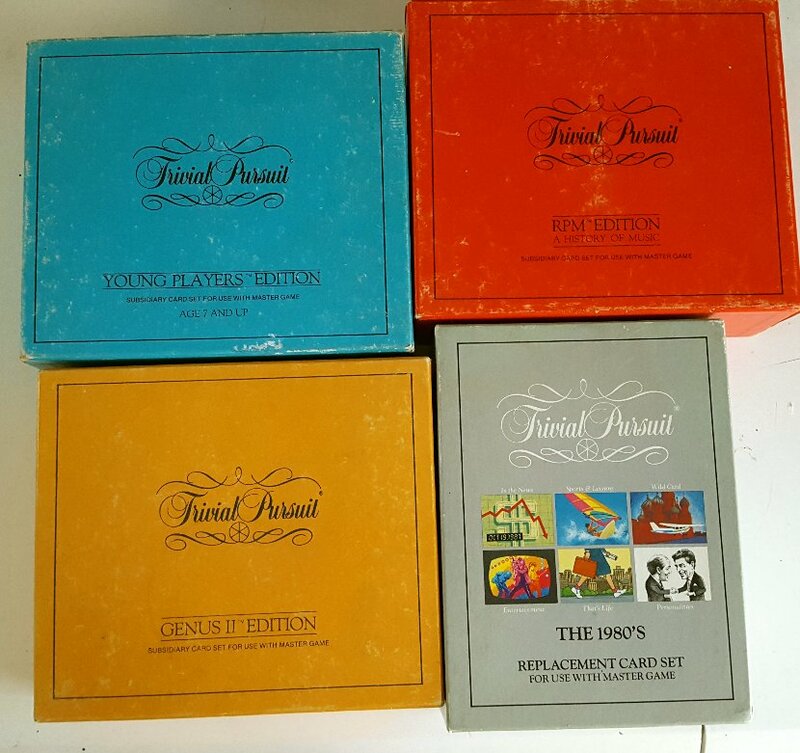 The "Young Players", "History of Music", "Genus 2" and "1980's" editions. Alex and I are collectors and this was a great bargain for us. It started our day off really well. Just like we did before Christmas. One broke and the other cracked. And not for lack of taking care of them. Alex sanded them, oiled them and we are careful not to soak them etc...they lasted 4 months. Since we both have sensitive stomachs, we were kind of worried about bacteria getting into those cracks. We feel so much better with the good quality ones now. I think it's sad that good quality homemade craftsmanship is something people will turn their noses at now just because they can get it cheaper somewhere else. We did that out of need for a while, which is understandable, nobody has a money tree growing in the backyard! But to compare his work to what discount stores sell...I would be a little insulted. A glimmer of hope!!! Could my big green lemon be finally turning yellow??? I'm not a game person at all...not in life or for fun...lol! I don't really like competition of any kind except for competing against myself....I was never a 'team player' at work either. I think being an only child I learned to enjoy my own company so much that I was just used to creating my own fun by myself. I'm a worker bee too....I only relax when I am dead on my feet! LOL! The games look really nice though and what a find if you are collectors! I can't believe you have a lemon growing inside in your climate! How did you do that? You are a great gardener for sure! I can't believe Charlie jumped in that freezing water! Amazing, I like the cold too but not that much! LOL! So glad you got out in the sunshine and what a beautiful area to walk in with your dogs. That is an insult to that man's craftmanship! There is no comparison whether you can afford it or not one should certainly be able to recognize the difference. He would be better off selling on Etsy where people search for handmade, quality....really he should! I bet he wouldn't be able to keep up with the orders! I'm glad you're loving your life...I love mine too....if everyone were as happy it would be a wonderful world! Hi Sam :)) Oh gosh, I'm like you, NOT competitive. Growing up with 4 siblings (eek)...there was way too much of that and I HATED the sore loser sisters I had, the anger....it was awful. Alex and I play for fun and it's really relaxing! The Trivial Pursuit is fun because they are just trivia questions. We don't actually pull the board game out, just ask questions and gain knowledge together! I think that I need to be close to dead on my feet to truly relax. Maybe that's why winters are so tough on me. I'm stuck indoors not doing too much activity. I could keep my mind busy, but I need that physical labour to make my body tired! I should tell that wood crafter about Etsy. A lot of the more English websites and web stores aren't familiar to the local Quebecers. He's very talented, check this out: Kitchen Islands. He had one on display at his workshop and we FELL IN LOVE with it...it's not something we could afford right away, but we would love to have one in our new home in a few years. I hope his business survives. His wife does all the weaving work on the chairs. Me again! I posted a comment but I see it did not show up. Let me know if nothing comes through and I shall try to remember all that I typed! It was a long one too!!! Hi Dianna! Oh no! I didn't get your comment :( That's the second time someone has mentioned that, and I had the same issue with another blog as well. Now I copy the comment before I click on "Publish" just in case. 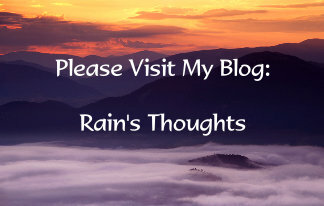 Blogger isn't always very reliable, but I'm not mentally patient enough yet to start using WordPress!!! Those are some nice cutting boards. I saw similar handmade ones, when I was out on my day of fun with my Mom. 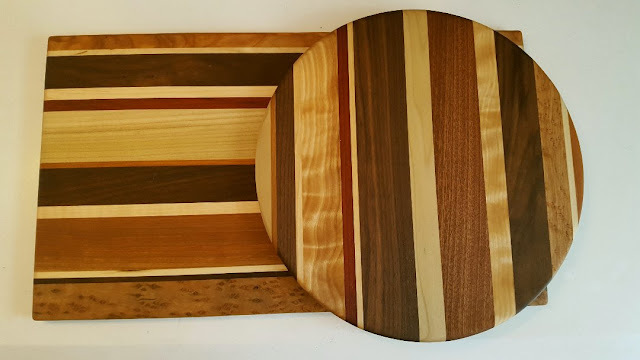 Hi Kristina :) The cutting boards are so nice, I've never had something really nice like that before, it makes me feel quite proud that we got them! We expect them to a long time! I'll be sad the day the first knife cut shows lol...but I have to remember why we bought them, not for decoration! good find! i used to love trivial pursuit. haven't played it in ages. we might get snow here on friday for the opening game for baseball! Glad u got out ad enjoyed the beautiful day. And yay to Charly. It must have felt so good to be back in runnibg water ;) to her at least. The cutting boards are beautiful. It is so sad that people just can't value someone elses hard work. I love the kitchen islands too. So beautiful. How much did u pay for your boards a great investment for sure. Hi Nik :) Yeah, the cutting boards are definitely a good investment, but in the end, come out to less than we've paid for the cheap ones over the last 2 years. And they're so nice looking too! I think that old fashioned values are disappearing for the most part. And it's sad to consider paying for good quality as 'old fashioned'!! I just hope that when we finally taste the lemon it's not too sour, it's been on that branch for nearly a year now!!! Wow there is ground under that snow! Nice cutting boards, I use mine for bread and cut meat on the plastic ones. Hi Gill :) I know you didn't believe it, but we do have grass under there lol...At some point I'd like to dedicate one for bread, one for fruits and veggies, one for only onions and garlic, and then one for meat. He had one type that had grooves around the edges for meat juices, so they don't all spill out...but we have to invest just a little at a time! Rain - i am so glad that you guys got to enjoy such a nice day - much needed after this long winter! as for collecting trivial pursuit - that's funny! i have been collecting encyclopaedia sets for almost 20 yrs and jam and i will lay out in the sun and read to each other from them - bahahahah! we also take them in the hottub, down to the river and just sit in our comfy chairs in the living room and read to each other - it's tons of fun so i can understand yours' and Alex's love of the trivia collection. those breadboards are beautiful works of art and you should be proud to own one! i love my chopping block and oil it after every 2 uses. quality is so much better than quantity and cheap, crap products. quality products are well worth the investment! 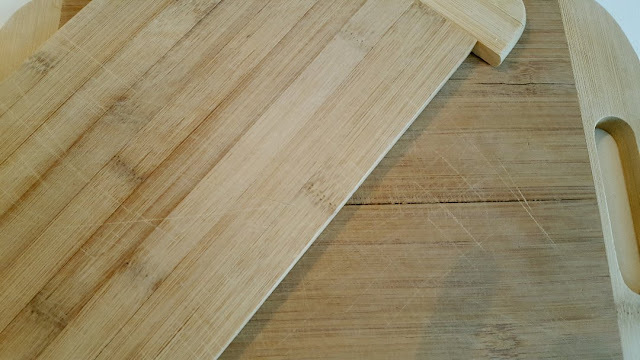 however, i was shy to use my chopping block because it is so beautiful (not as beautiful as the ones that they guy makes), but beautiful nonetheless. i was worried about chopping onions, garlic and oh my fawd! - beets!!! but then i just said screw it and started using it. it's stained (beets and turmeric), it has knife cuts and it's beautiful! as for that lemon tree - i can't wait to build our addition and try my hand with citrus - we use a lot of citrus around here! Yay, thrift store finds are so fun! We still have patches of snow, but more earth without snow now. Yay, so much easier to walk on. I had my friends dog today and we got out exploring for 2 hours and she loved finding patches of snow to lay on or play on. Yay Lemon! I am pulling for you! It's funny you mention the Little Book of Hygge on your previous post, because I'm not finding it to be what I was hoping. Some of it is good, but generally, I think I'm halfway there already!!! 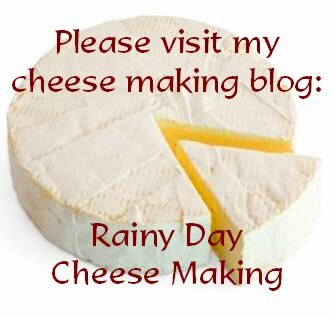 I love your recipes and so does my daughter who is getting back into cooking again, yay! Fingers crossed this post finds it way to you! :) Its mind boggling when posts don't go where they are supposed to. I just wonder where it went! That cutting board is gorgeous!! My brother made me one similar in the autumn and I don't want to use it its so lovely! Nothing like something homemade. I wish I was more creative with wood - but I really don't have a creative bone in my body. Just in the kitchen I guess! Living by myself, playing board games is...challenging. I may have to teach The Pepperoni how to play Scrabble. We played lots of board games as kids - and card games. I am not a card game player, although the rest of my family enjoy them. We were also big jigsaw puzzlers, too. My parents still have one going at all times and they are in their 90s! My favorite puzzle pastime is working on crosswords. Once you get yourself through all those Trivial Pursuit games, maybe you two should try out for Jeopardy! Love to see your beautiful pups (and handsome boyfriend...) out in the fresh air. We're holding our breath here, hoping for NO MORE SNOW. I'm so happy I can grow lemons here! I do want to branch out in the future as well. I'd also love to grow cherry trees. 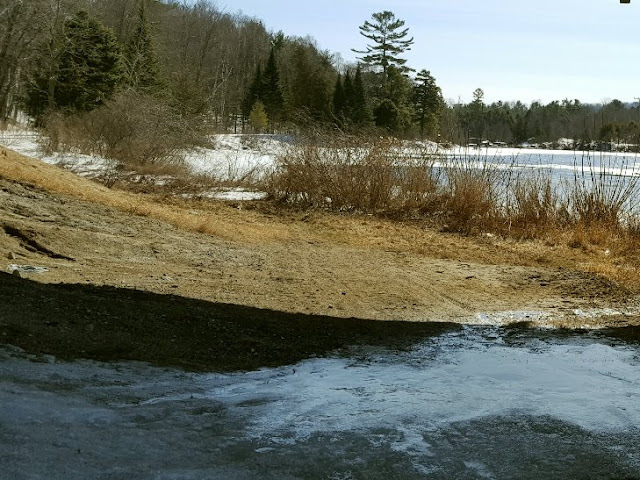 We might be too cold up here, but depending on where we end up settling, it could work because I know there is a cherry tree farm in Quebec, but more south, closer to the U.S. border. Hi Tammie Lee :)) I do love thrift stores...I'm hoping that I can find most of my containers at the thrift store so I don't need to invest too much in my garden this spring. We're going to our favourite one next week. Maybe we'll find more Trivial Pursuit! :) It's nice to see the ground under the snow isn't it? Thanks Toirdhealbheach! :) I'll keep you up to date, fingers crossed the lemon keeps turning yellow!! It's stalled a wee bit because of the lack of sun though. I wonder what it'll taste like. Hey, creativity in the kitchen is a HUGE skill, so don't knock yourself!! :) I'm not good with wood, I'd love to have that skill, but I think it has to be taught to get to that level of craftsmanship. The board is going for its maiden journey tonight before dinner!!! :) Speaking of wood, I just started to use my wood burning kit that I bought in...2008 lol. Never touched it before. I was worried I'd burn the house down lol...but I tried and I'm getting better! I'm going to use the old cutting boards for the garden maybe...to make little signs for each garden area! The 80's were my decade! :) Sometimes when Alex is asking me questions, I just start laughing out loud because it triggers a memory of that decade for me. I have a phobia of Monopoly lol...my mean awful older sister actually got VIOLENT when we were kids if she didn't win, turned me against that game! We have it, but I won't play! We have Battleship and RummyCube too. Once in a while we pull out the Risk game, but it's usually the trivia Q & A that we love the most. I'm just waiting on my Mumm's order this week, I can't wait to post about my sprouting efforts! Thanks for suggesting that to me!! Hi Susan :)) Lol...if you can teach your dog to play scrabble, I'd like to see a video of that! I used to watch Jeopardy, I loved it. We got a bunch of jigsaw puzzles at the local bazaar too and I started to put one of them together last summer, but the cats knocked it all down! One day I'd like to have a dedicated area for a really big one! And thanks for the compliments!! I'm hoping for no more snow here too! 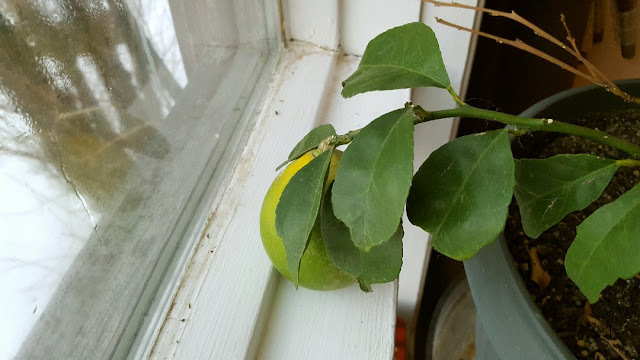 Lemons take forever to grow and ripen! That's what makes them a treasure though. Lol Leigh...Alex is like that with the Silver Screen edition, he seems to know the answers before I ask the questions. Sometimes, especially when I know he will get the answer right away, I start the question with "now, let me finish..."!! I can't wait until my lemon is all yellow!